Every business owner, regardless of the size of the business, should have a business plan. 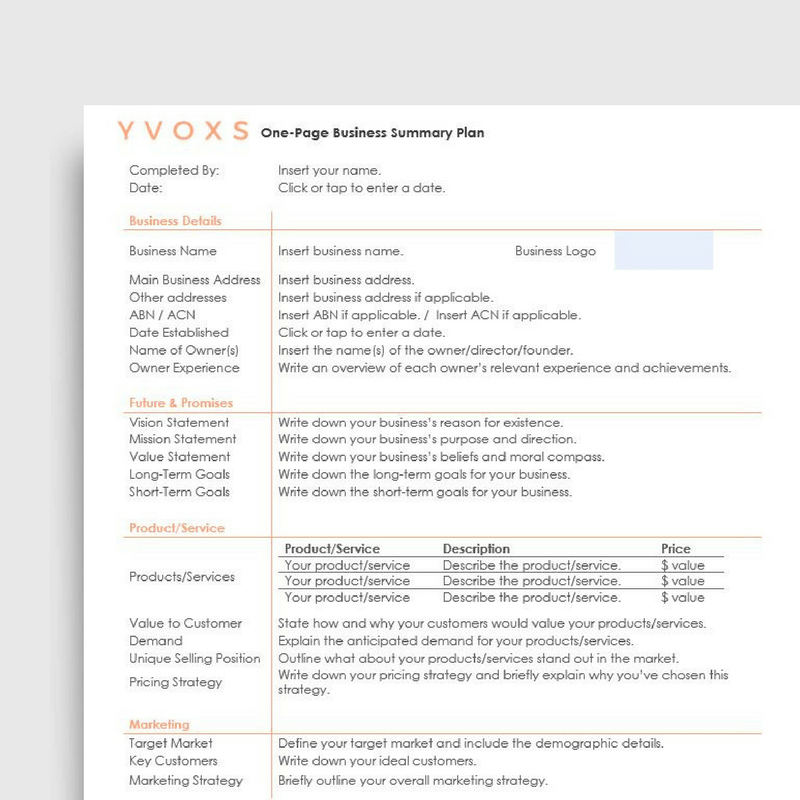 Organise your ideas and plans for your business with our templates! The simple truth is that your business and its brilliant products mean nothing if people don’t know they exist. 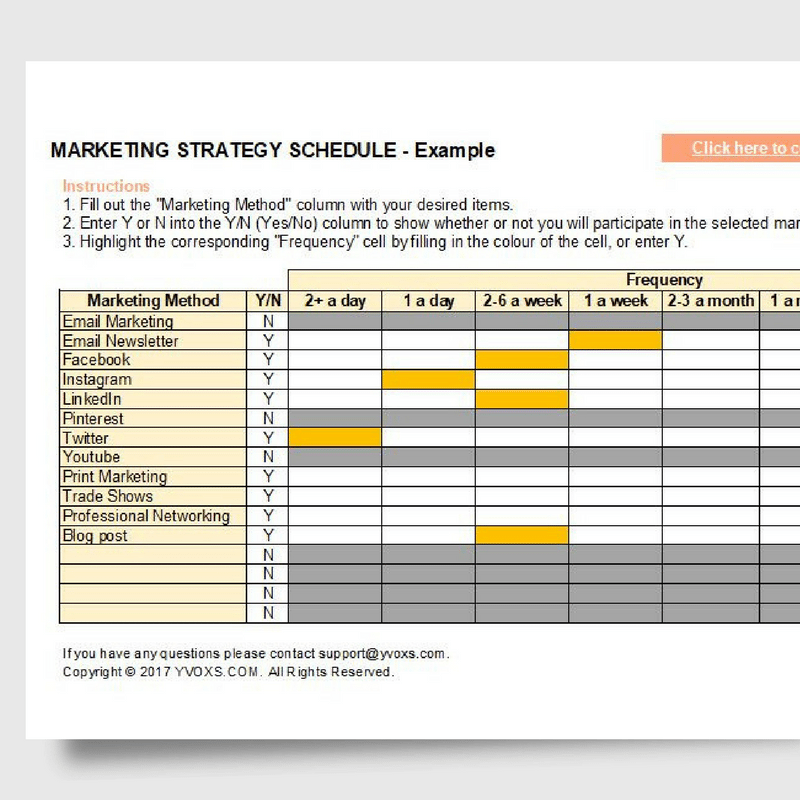 Grab our marketing resources to help market your business effectively! A good business owner keeps track of their finances regularly. 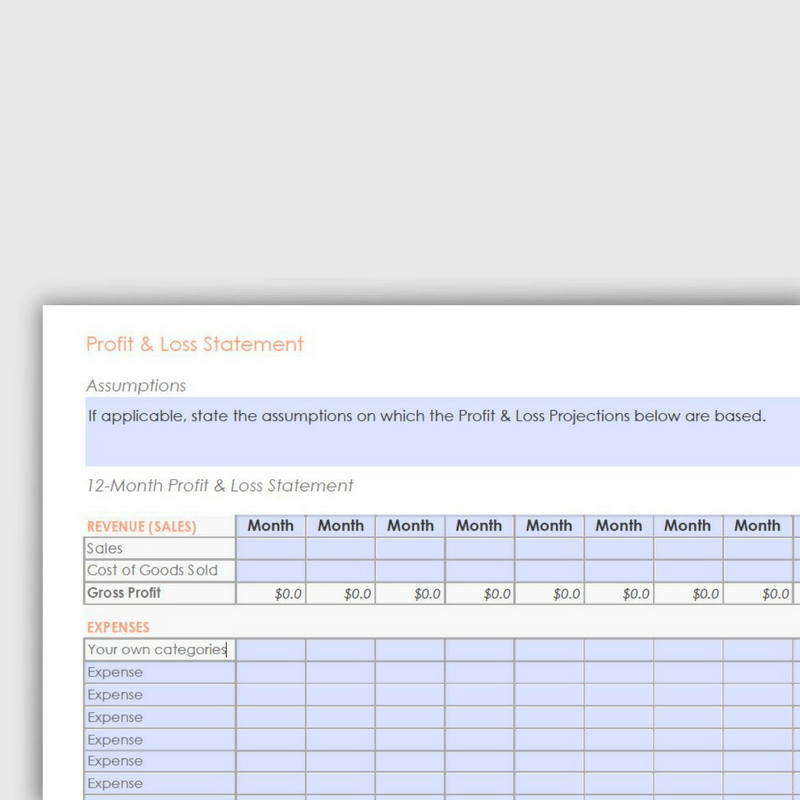 Grab our financial templates to keep track of your business revenue and expenses! Setting up and running a business involves so much time and work. 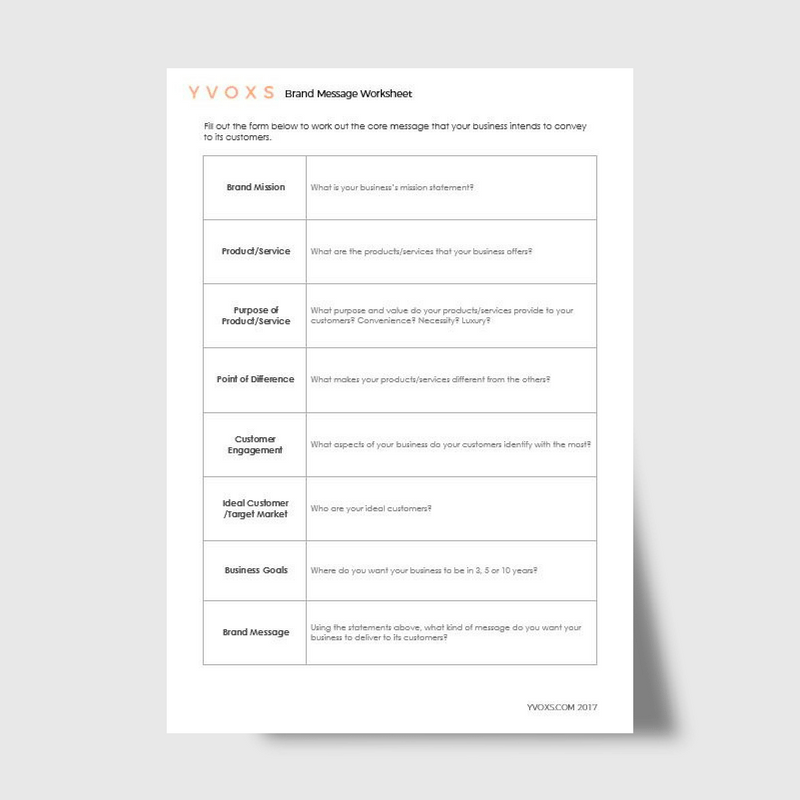 We feel your pain, so here are some templates to help organise your business. 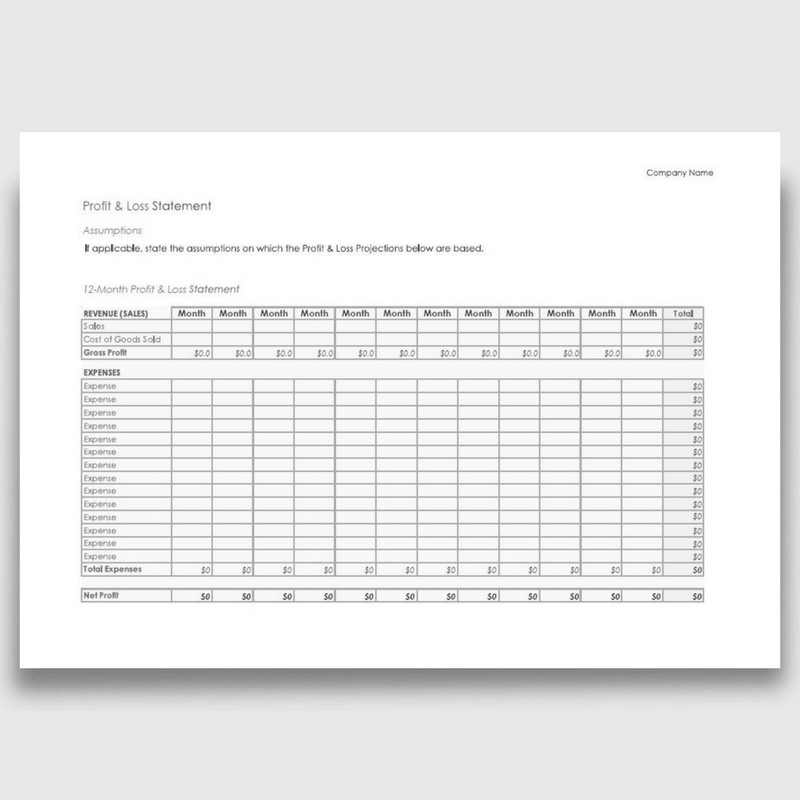 This 12-Month Profit & Loss Statement PDF is the perfect, simple, editable and print-ready form that you’ve been looking for, especially if you’re intimidated by using Excel spreadsheets. It is already formatted with automatic calculations so that you can have a snapshot of your revenue, expenses and the net profit on one page without needing to do any formatting yourself. With this form, you also have the freedom to add only the relevant categories to the expense column. 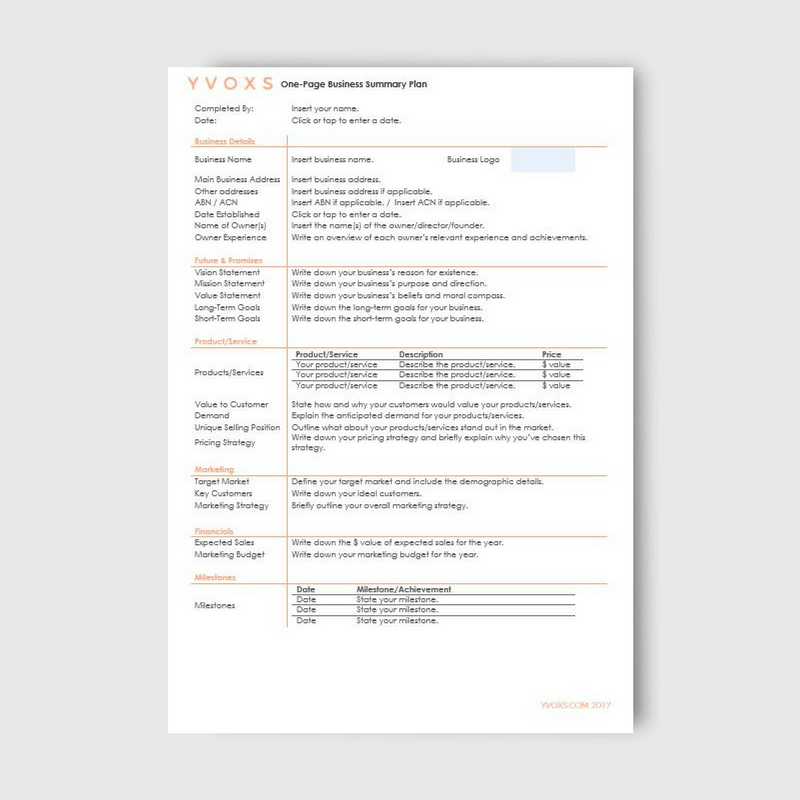 You can use this form to jot down your projections or report your statements as you go, or hand it out to your team or clients to use as they wish. No matter what you use it for, this form will simplify the financial reporting activities that you’ve been dreading! 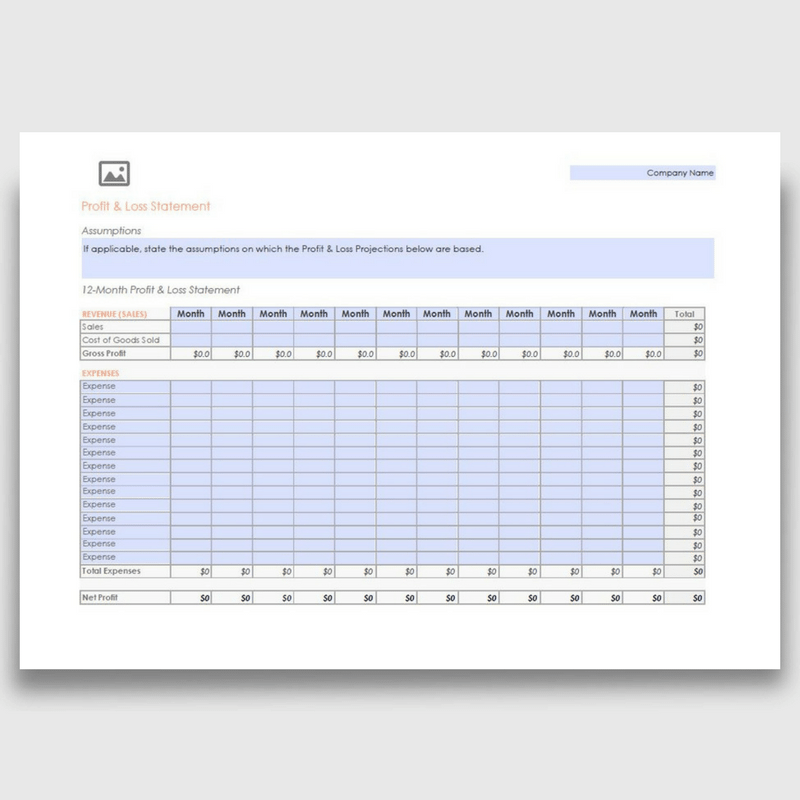 For a fully editable Excel version of this form, click here. 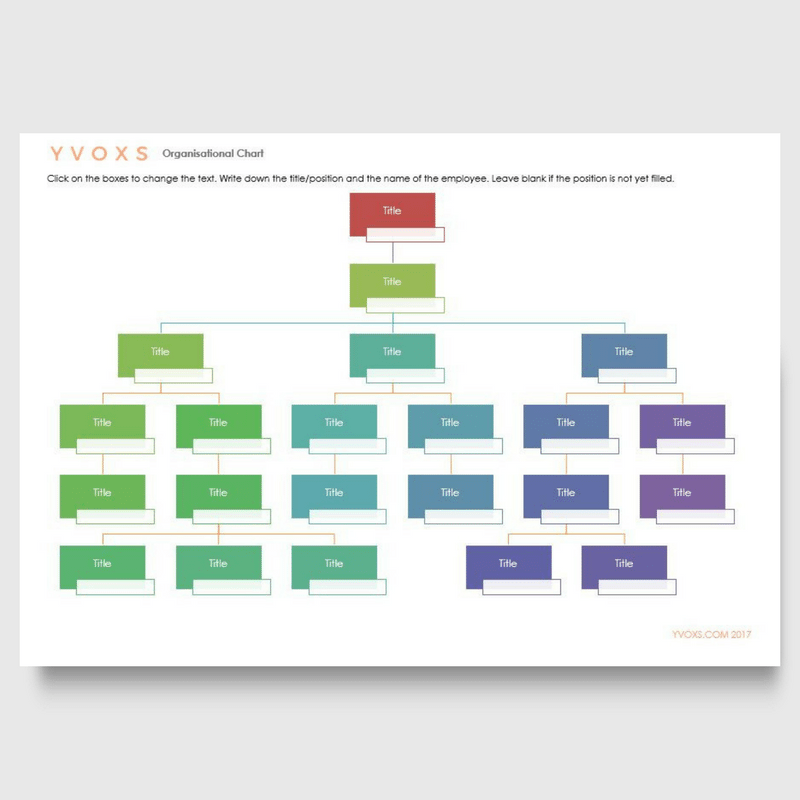 In order to save an uneditable version of this PDF worksheet (i.e. remove the text fields), print to PDF. Click the printing icon or Ctrl + P from your PDF viewer, and select “print to PDF” or similar in the dropdown list of printers. Click “Print” and save the PDF. There are TWO files included in this download. Try our new document builder and export to PDF! WordPress Theme built by Shufflehound. Home | About | Privacy | Contact | Feedback © 2017 YVOXS. All Rights Reserved. Here is your workbook. We really hope this is useful for you and your business! 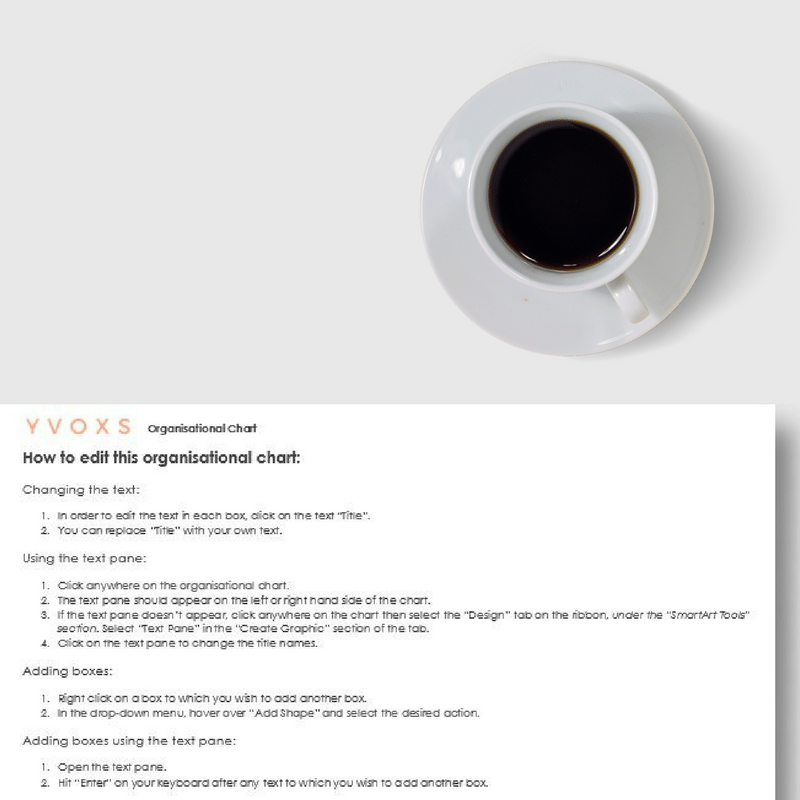 If you experience any issues downloading or using this workbook, please let us know at support@yvoxs.com! 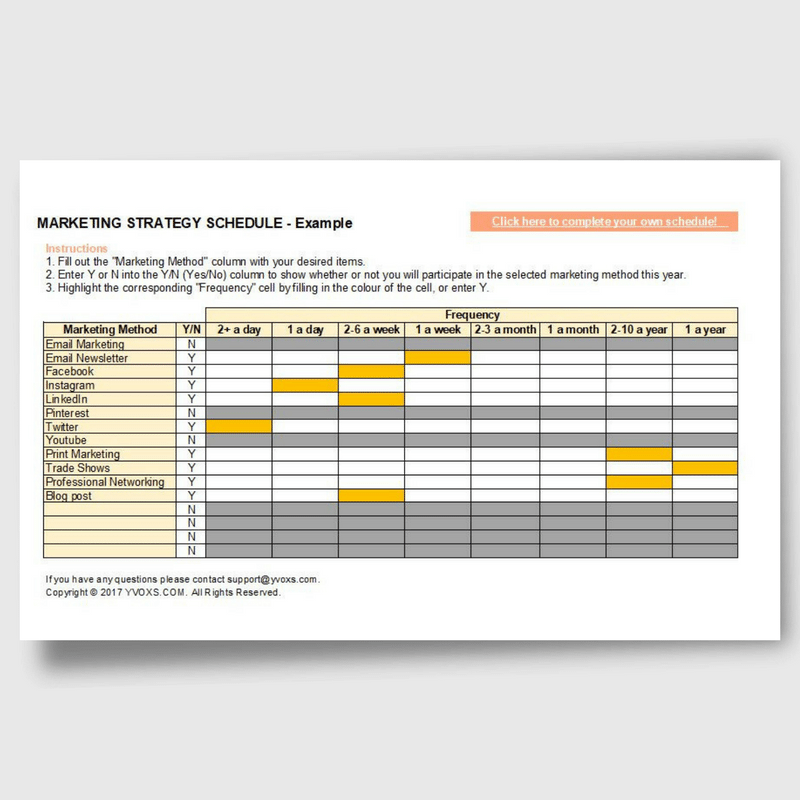 Get your copy of this FREE Business Planning Workbook! 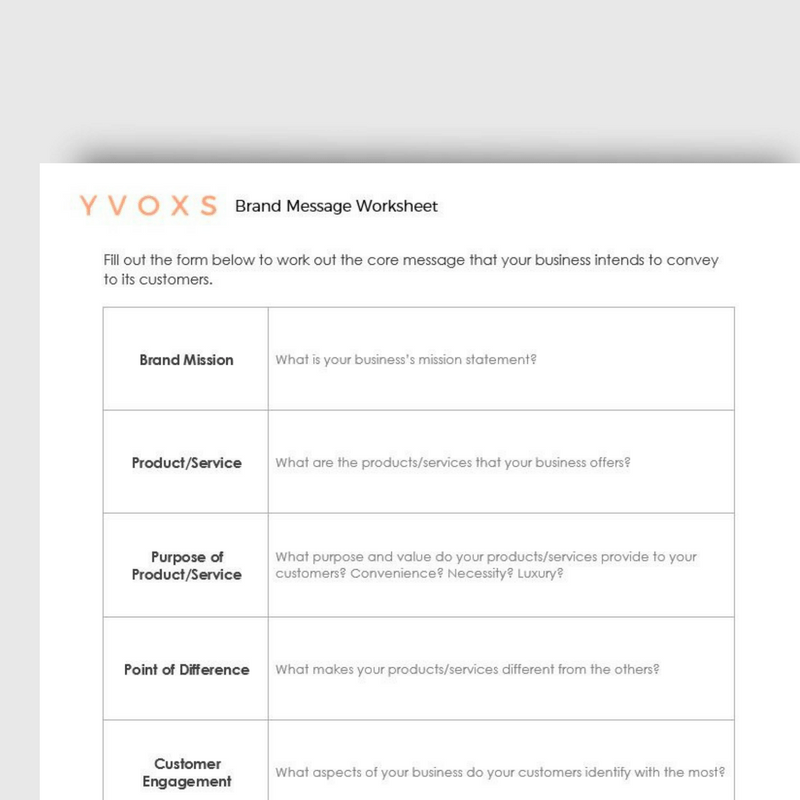 Enter your details below to download this workbook and get notified when we have other cool new stuff!